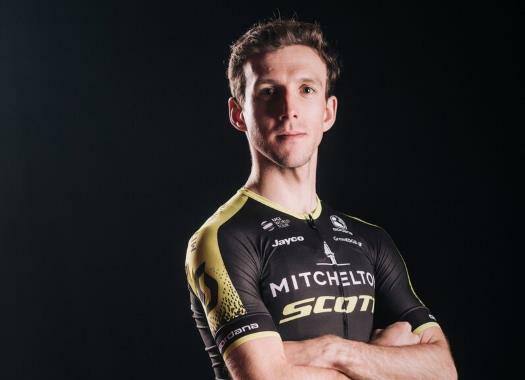 Simon Yates (Mitchelton-Scott) attacked from the favourites' group at the last kilometres of the fourth stage at the Vuelta a España. The Briton stated after the stage that he didn't really want to attack at that moment. Yates stands in the third position of the General Classification after finishing in the eight position of the stage, following an attack in the last kilometres. "It wasn’t the plan (to attack), I got carried away but I felt good and I saw an opportunity there," he said at the finish line. "Lotto-Jumbo were running a good tempo through the town but seemed to fall apart or slow down a bit and I thought I would keep going and that was it really." The Briton insists that he didn't really mean to launch an attack at the day's stage. "I don’t really know what I was doing. Maybe I was testing the guys and was thinking someone would come with me straight away but that was that. "I didn’t mean to. I’m not trying to be cocky or anything, it was just one of those things and when I tried once, I got away. It looks like I have gained the time I lost in the other part of the race, in the prologue and the other day with the little kicker, so yeah, it was a good day."